CARACAS, Jan 25 2019 (IPS) - Venezuela entered a new and astonishing arena of political confrontation, with two presidents, Nicolás Maduro and Juan Guaidó, leading the forces vying for power, while Venezuelans once again are taking to the streets to demonstrate their weariness at the crisis, which has left them exhausted. Both sides “have sharply raised the stakes, they’re not giving in and the internal and international factors that traditionally operate as mediators show signs of having taken sides,” Carlos Romero, former director of postgraduate studies in political science at Venezuela’s Simón Bolívar and Central Universities, told IPS. Guaidó, 35, who was appointed president of the single-chamber National Legislative Assembly on Jan. 5, was sworn in on Jan. 23 before a crowd of supporters in Caracas – while hundreds of thousands marched in 50 other cities – as “interim president of the Republic”, to put an end to Maduro’s alleged “usurping” of power, create a transitional government and organise new elections. “I don’t want a ‘bono’ (stipend) anymore, I don’t want Clap (bags of food at subsidised prices), what I want is for Nicolás to leave”, along with shouts of “Freedom!” and insults against the president were the most frequently chants by people from practically all social strata, who have been hit hard by the crisis, including annual hyperinflation of 1.7 million percent, according to the National Assembly in the absence of official statistics. The United States, Brazil, Canada and a dozen other countries in the Americas immediately recognisedGuaidó, to which Maduro responded by denouncing that “the imperialist government of the United States is directing an operation to, through a coup d’état, impose a puppet government” in Venezuela. In response, Maduro cut off diplomatic ties with Washington and gave all U.S. diplomats 72 hours to leave the country. The United States, through Secretary of State Mike Pompeo, ignored Maduro’s measure and announced that it would keep its diplomats in Caracas as requested by Guaidó, the president they recognise. U.S. President Donald Trump also called for stronger measures. For a century, Venezuela has been a supplier of oil to the United States, currently the destination of 47 percent of its exports, while it imports not only U.S. manufactured products, but also inputs such as components to make gasoline. But the flow of trade has not appeared in the breakup equation. 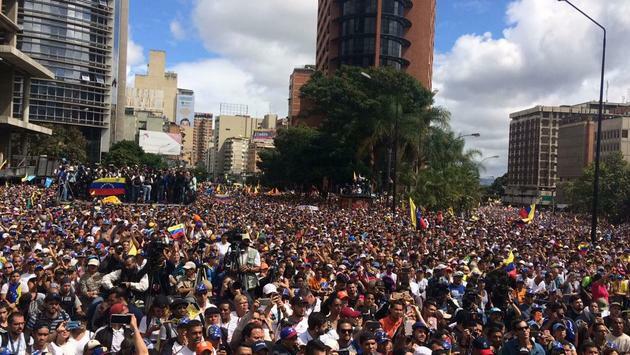 The “Guaidó phenomenon” achieved what seemed unthinkable just a few weeks ago: reviving the mass “open councils” in the streets, which led to the huge opposition marches on Jan. 23. That is a key date in Venezuela because on that day in 1958 a civil-military uprising put an end to the almost 10-year dictatorship of General Marcos Pérez Jiménez (1914-2001). Maduro, 56, in power since 2013, was re-elected on May 20, 2018 in controversial elections in which the majority of the opposition – much of which was disqualified – did not participate, and whose results were not recognised by many governments in the Americas and Europe. The president took office on Jan. 10 for a new six-year term. That same day, a majority of governments in the Americas and the European Union (EU) said they did not recognise his government. The heir to Hugo Chávez, who governed the country between 1999 and 2013, the year of his death, also received the backing of hundreds of supporters on Jan. 23, who crowded around the Miraflores Presidential Palace. 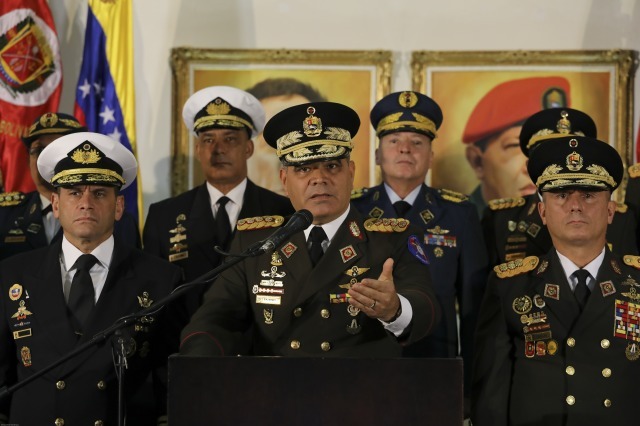 He was also backed by the commanders of the Bolivarian National Armed Force, who on Jan. 24 reiterated their loyalty to Maduro in a series of statements. Guaidó’s proclamation “is shameful and aberrant,” and part of “a criminal plan that reached the limits of extreme danger,” because “a coup d’état is being carried out against democracy and the constitution,” declared General Vladimir Padrino, defense minister and head of the military high command. Today in Venezuela “three scenarios have opened up. The first is that President Maduro withstands the pressure from the opposition, from the population in the streets and from the international community, and that the mass movement against him peters out,” Romero said. The second is that the street protests and international pressure sustain the duality of power, which translates into the elimination of Maduro’s government, either by him stepping down or by an act of force, and new elections are called,” the analyst added. “And the third is that a third actor enters the scene, which could be international, from the armed forces, or some other factor that intervenes to stop the confrontation if it gets out of hand in the country,” Romero said. 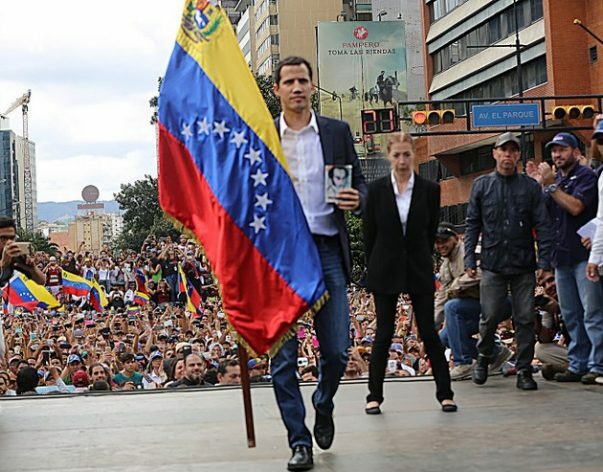 Guaidó, for his part, “must have calculated the risks of taking the bull by the horns in the middle of the square. There may be arrests that reach not only him but other members of the Assembly,” Salamanca said. Parliament was declared “in contempt” two years ago by the government-appointed Supreme Court of Justice. Since then, the other branches of power, all in the hands of government allies, have ignored its decisions, while in 2017 a National Constituent Assembly was elected, also without an opposition presence, which has assumed part of the legislature’s functions. United Nations Secretary General Antonio Guterres called on Jan. 24 for “a transparent and independent investigation” into “the incidents in Venezuela,” because in the context of the protests of Jan. 21-23, at least 26 people were shot dead, according to local media, and dozens were injured and arrested. Washington, Ottawa and the Lima Group (Argentina, Brazil, Chile, Colombia, Costa Rica, Guatemala, Honduras, Panama, Paraguay and Peru) recognisedGuaidó. Ecuador did as well. Meanwhile, Uruguay and Mexico distanced themselves to insist on the need for a new “urgent and transparent” dialogue between the parties. Bolivia, Cuba, El Salvador, Nicaragua and Suriname were the countries in the region that supported Maduro. Although the EU did not recognise Maduro’s election and second term, it has not given Guaidó recognition either, although some of its members have done so or have ratified their support for him as president of the legislature. However, the bloc insists on the need for new elections, with guarantees, in order to return to a state of law in Venezuela. Two other major global players, China and Russia, have expressed their support for Maduro. What will happen if, for example, the United States refuses to withdraw its diplomats from Caracas and Maduro’s government imprisons Guaidó? The new scenario could take one of many directions, while underneath the surface of a situation where the country has two presidents are years of weariness and crisis that has undermined the quality of life of Venezuelans, with growing numbers of people going to sleep hungry every night, and millions forced to emigrate. And what could go wrong? More of the elitist gaining power over the people. The financial people don’t like the idea that they have been left out, will turn the country into another poverty one, keeping the population poor, not lifting them up. Indeed, this is shaping up to be another color revolution, could the Israelis be too far behind? After all, just like Syria & the U.S. troops, there is a need to be filled, which only military personnel can fill. Considering Brazil has embraced Israel, there is a jump off point in the equation. One might even entertain the thought that those IDF snipers will emerge again, only in South America, as the did in the Ukraine.